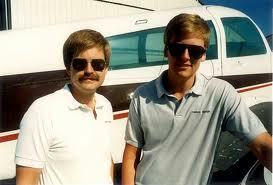 Cirrus was founded in the mid 80s by two brothers out of college, Alan and Dale Klapmeier. They turned out to be aviation’s equivalent of Steve Jobs and Steve Wozniak of Apple fame. The Klapmeier’s believed they could do for the safety of small airplanes what seat belts and airbags, had done for cars. Most notably , they introduced a ballistic recovery system the Cirrus Aircraft Parachute System (CAPS), which would float the entire aircraft to ground in an emergency. The military uses expensive, heavy ejection seats, not suitable for planes with solid roofs. The decision to introduce CAPS was based on a hair raising disaster that nearly killed Alan Klapmeier. When he was 25, Klapmeier suffered a mid air. His wing sliced through the strut of the other plane which spun into the ground, killing the pilot. Klapmeier had to keep his control yoke hard to the left to keep his plane, which had lost part of its right wing, flying somewhat straight. He was barely able to land. What’s surprizing is that Klapmeier’s start up airplane venture didn’t also enter a graveyard spiral. The average failure rate for start-ups is between 75 – 80% and the failure rate for new aviation companies is even higher. (Commercial aviation is very risky too). 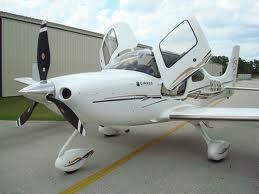 While expensive (about $500k for the SR-22GTS), Cirrus initially couldn’t keep pace with demand. They were selling them faster than they could get them out the door.The tubocharged version achieves 211 knots and 25,000 service ceiling. This is what you’d want if air taxis were to proliferate. A safe, fast comfortable light aircraft. Later, in a takeover, (also like Apple) Klapmeier was released from Cirrus and recently is launching another innovative plane at Kestrel Aircraft Company, a six passenger turboprop. Now Cirrus finds that it too is in the midst of a takeover. Another american success story is no longer American. Note that the Cirrus sale is a “friendly” takeover and truth be told, the company was already owned by Arcapta Capital, who had been trying to sell Cirrus for a while. However, exporting critical process or product intellectual property has it’s downside. As it continues, you’re relegated to producing low priced commodites. We’re not very good at that in the U.S. This entry was posted in General Aviation, Technology. Bookmark the permalink. At least one U.S. congressman is putting on the brakes. Ultimately, I believe the sale will go though.